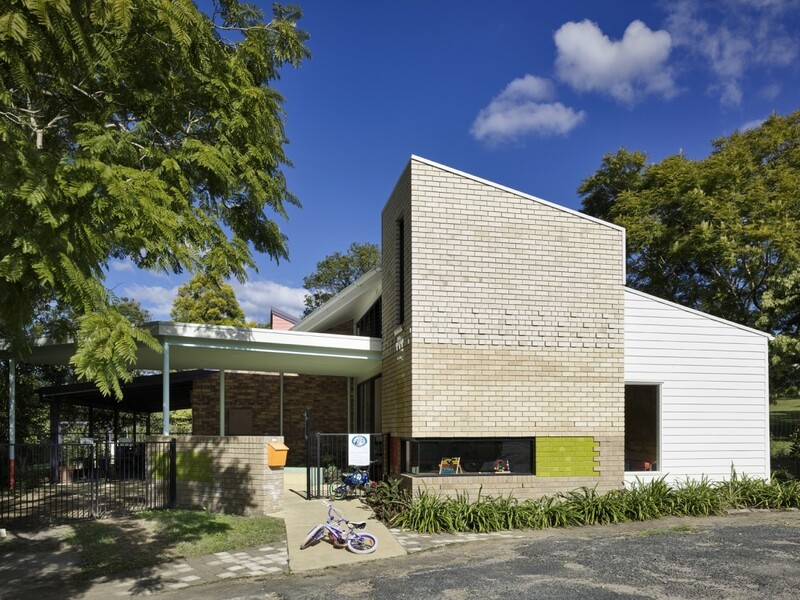 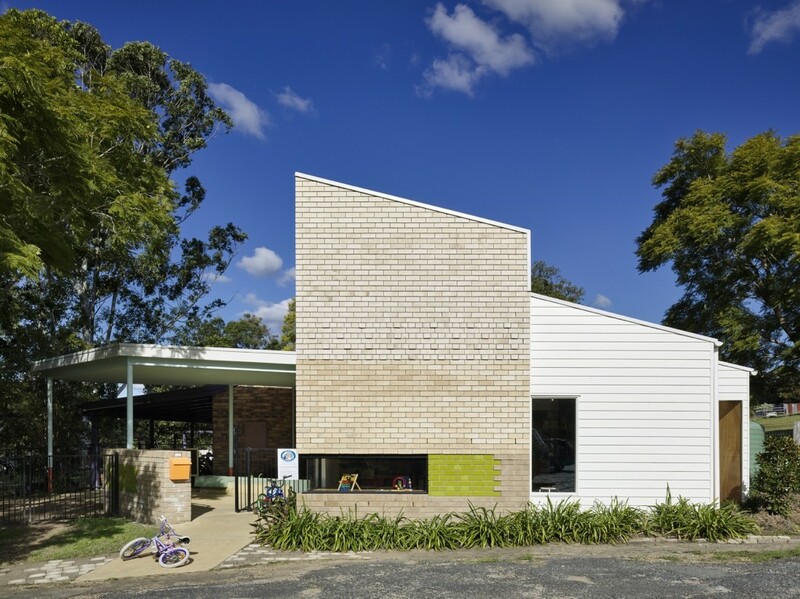 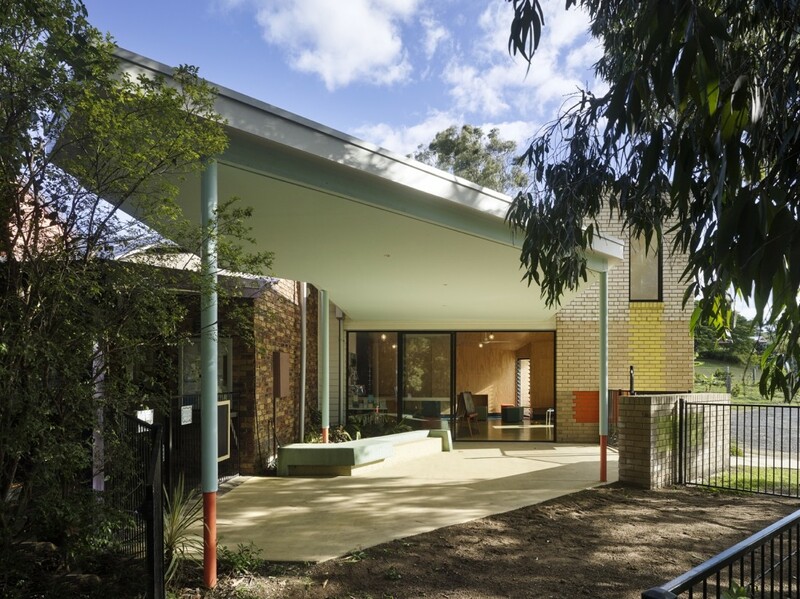 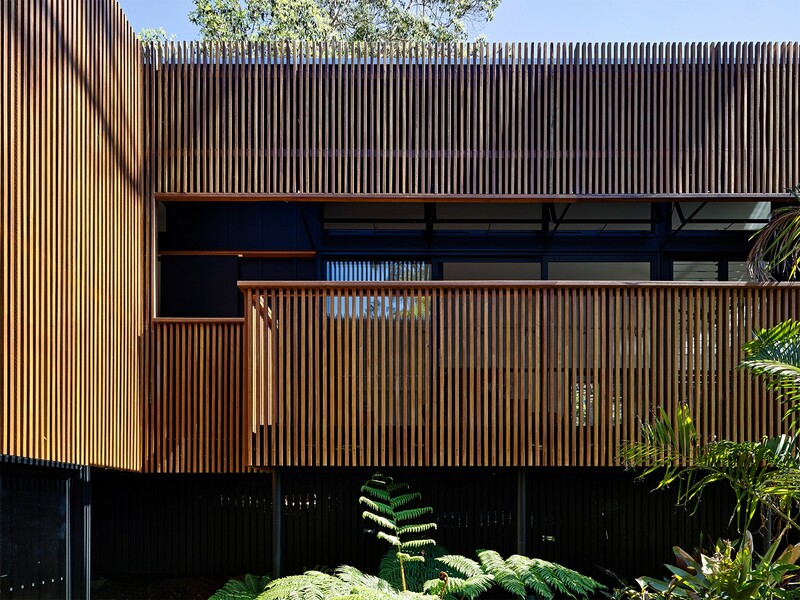 This small extension to the existing Dayboro Kindergarten was primarily conceived as a waiting room for parents and siblings; however it can also serve as a meeting room, gallery, break out area and function space. 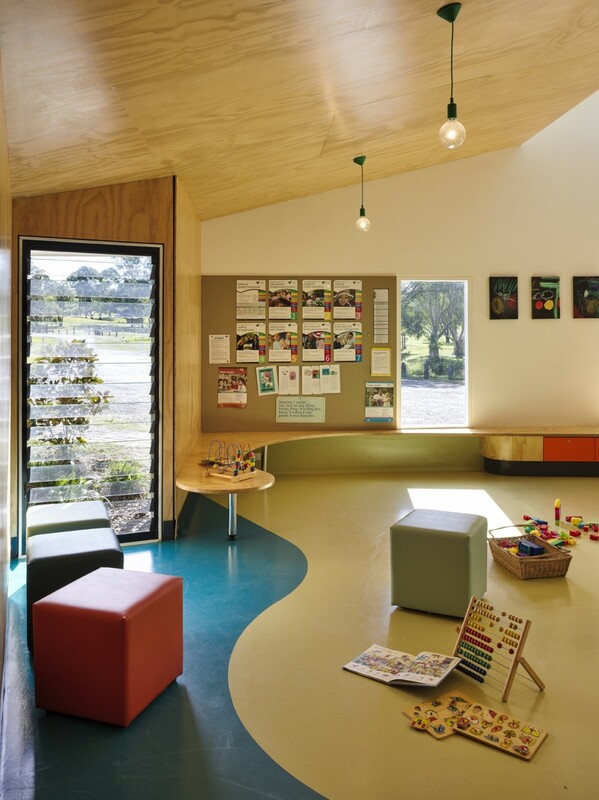 Within a limited budget opportunities were sought to imbue the simple brief for ‘open space and storage’ with playful gestures, colours and details that would create a memorable address for the kindergarten. 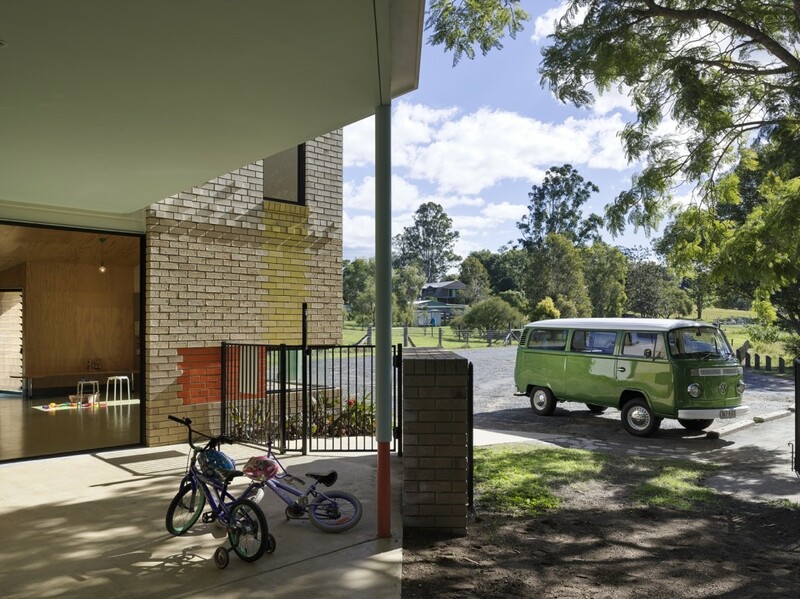 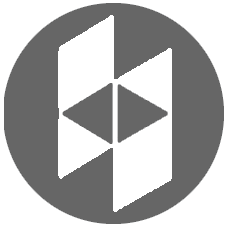 Openings were designed to address various parameters: the size of a child, scale shifts which enhance the exaggerations of childhood memories, the need for security and surveillance, limiting western sun penetration, high level ventilation, and an open and generous character. 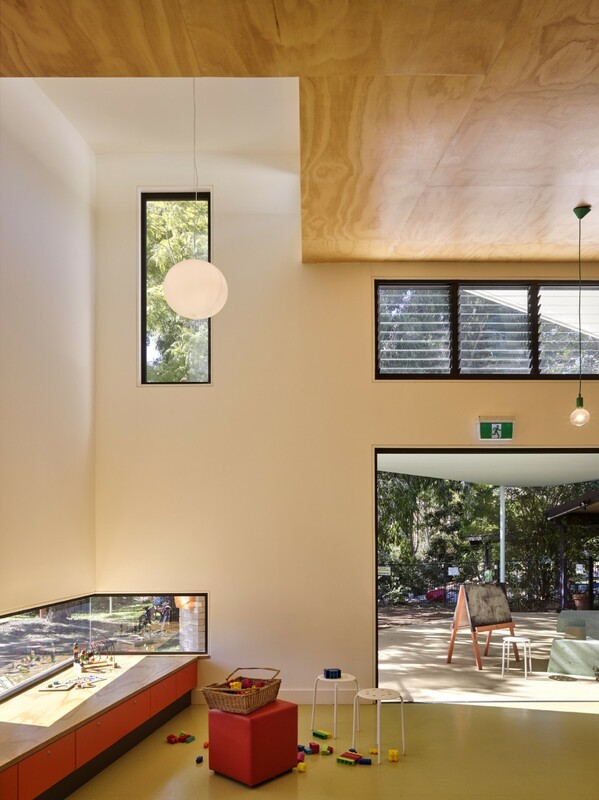 The design team, builders and several important suppliers were generous with donations of time and product to maximise the project outcome. 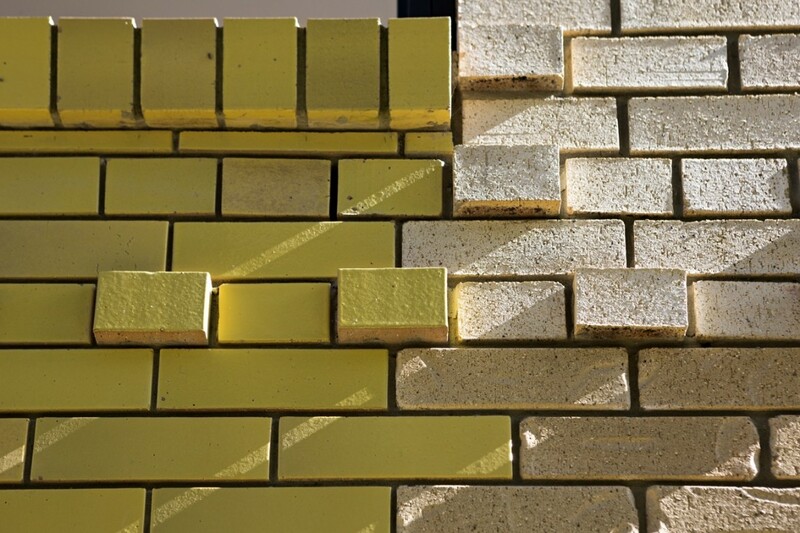 Reject extruded clay bricks in light colours contrast tonally against the chocolate bricks of the existing architecturally designed brick building, and the inconsistencies and cracks in the reject full glaze primary colours bricks add textural character. 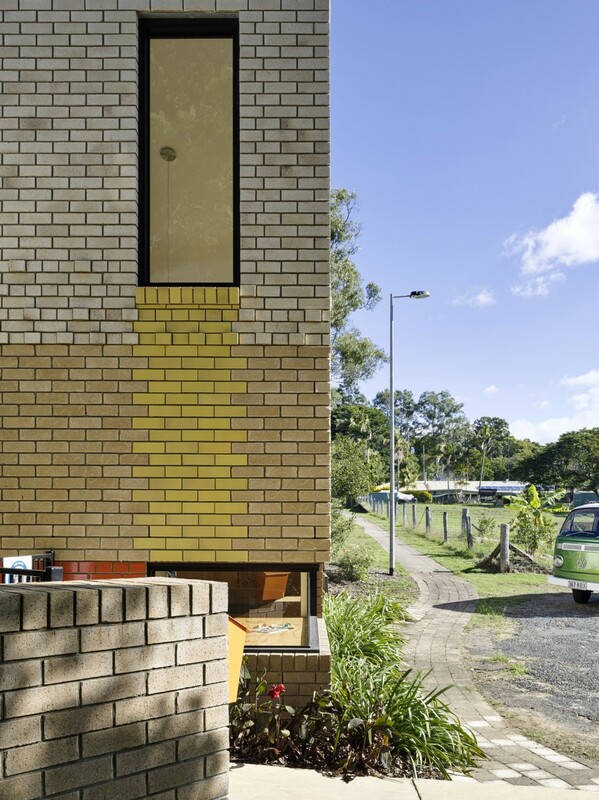 Due to quantity limitations the brickwork facade (inspired by Alvar Aalto’s Muuratsalo Experimental House) was created as a collage of varying brick types . 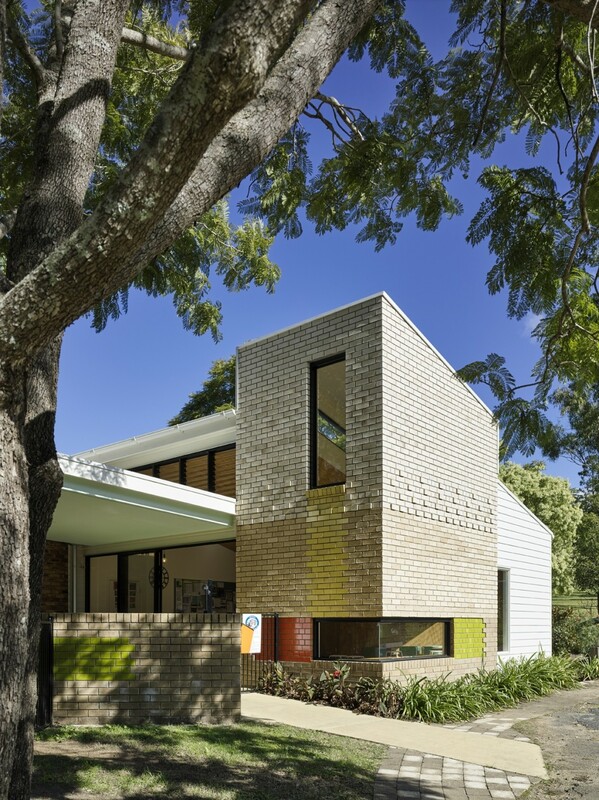 The external palette of brickwork and weatherboard is contextually appropriate for the surrounding housing stock and echoes the existing building. 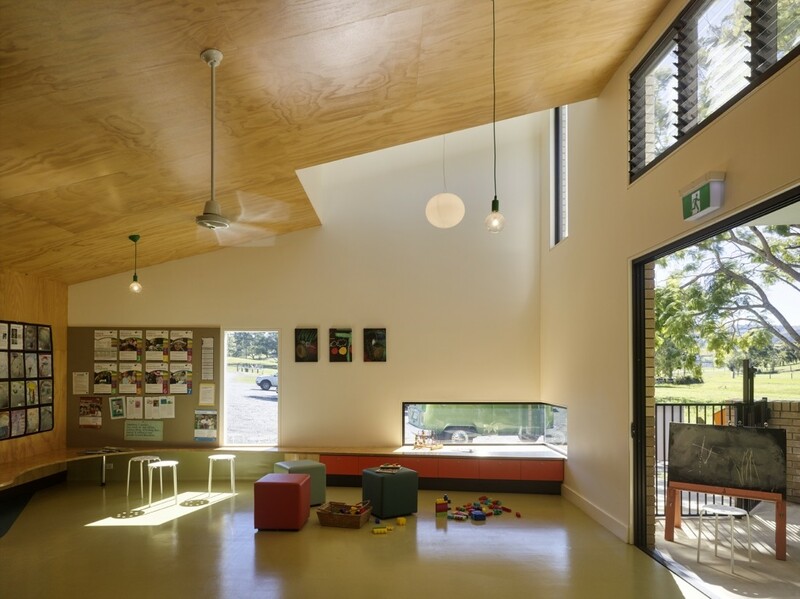 These familiar materials also assisted in creating a non-threatening, welcoming and humble architectural language appropriate to a kindergarten. 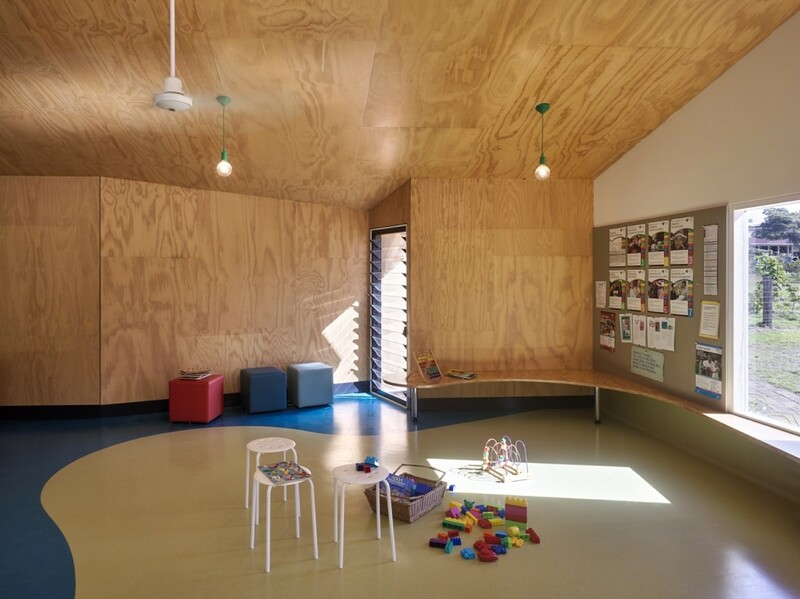 Warm, natural materials such as plywood and marmoleum provide the interior with a similar hospitable and domestic atmosphere. 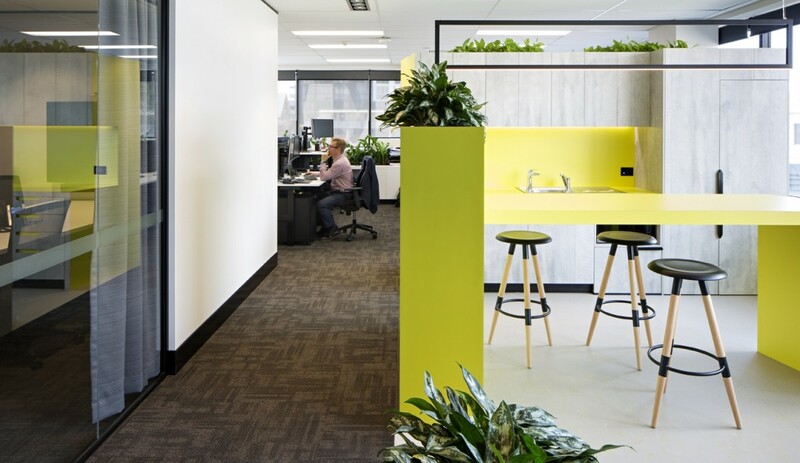 The fresh, lively colour palette is designed to appeal equally to children and adults. 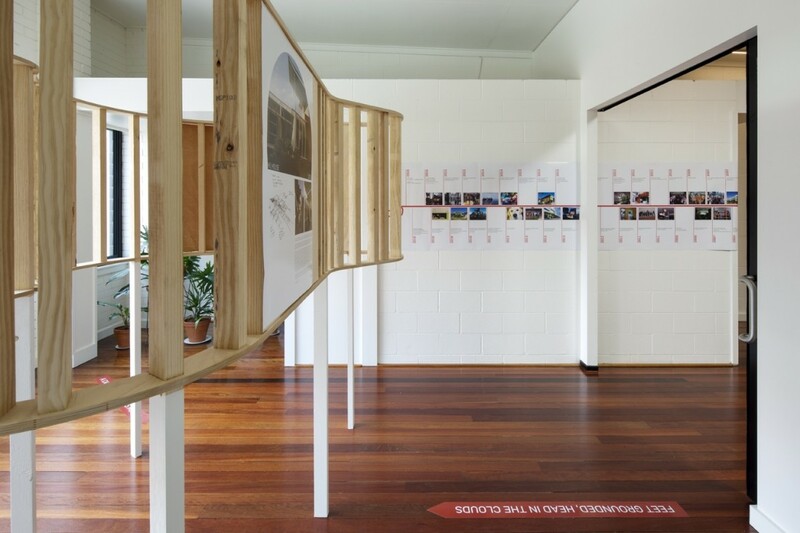 Contrasting the smooth, bright materials such as laminate and marmoleum against the natural textures of plywood and concrete resulted in a schema that maintains professionalism whilst being appropriately playful and completely functional.